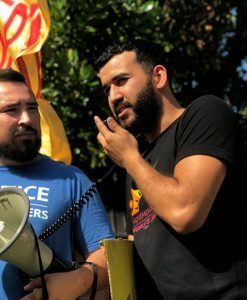 Keeping with a longstanding tradition, the Fair Food Nation celebrated the invaluable contribution of workers to the country this past Labor Day the best way they know how: By fighting for farmworkers’ fundamental human rights in the fields! 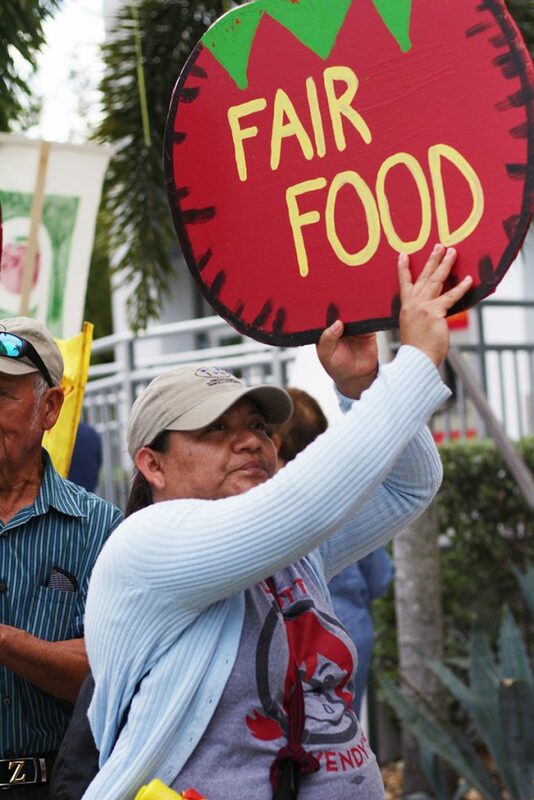 On the Sunday of Labor Day weekend, scores of farmworkers and Fair Food allies hit the streets of Miami for a lively march demanding justice for farmworkers in the supply chains of Florida’s hometown grocer, Publix’s, and – of course – the final fast-food holdout, Wendy’s. Today, we bring you a report from the Alliance for Fair Food on the Labor Day action from the Magic City! 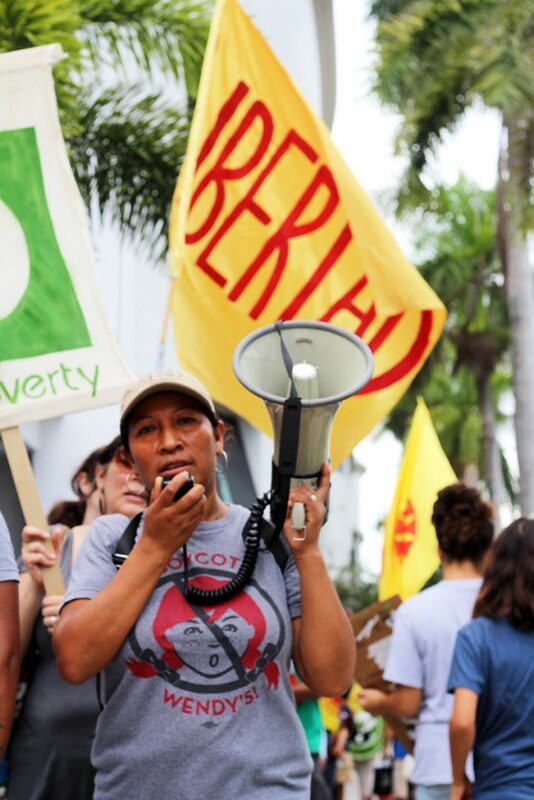 Bright and early, CIW farmworkers and their families loaded protest art, water and megaphones into three vans and headed east across Alligator Alley for the next leg of the Florida Summer of Action! Women’s Group members march with allies in Miami over Labor Day Weekend. The message from the holiday weekend was crystal clear: The Fair Food Nation observes Labor Day Weekend by challenging corporations’ status quo of doing “business as usual” at the expense of workers’ dignity and well-being, and Wendy’s and Publix are no exception! All in all, the Florida Summer of Action has set the stage for the upcoming season chock-full of actions. Our solidarity with CIW in the Campaign for Fair Food is an important reminder to corporations that the hard-fought advances in human rights that farmworkers and consumers have achieved through the Fair Food Program are here to stay — and any major food retailer that turns a blind eye to the responsibility of eliminating sexual violence and forced labor in its supply chain will ultimately find itself on the wrong side of history. Next week, over 70 students and youth will be flooding into Immokalee from all corners of the country for the annual Student/Farmworker Alliance Encuentro, this year celebrating CIW’s 25th anniversary. Stay tuned for a report from the Encuentro coming soon, as well as the latest news from the Wendy’s Boycott front!